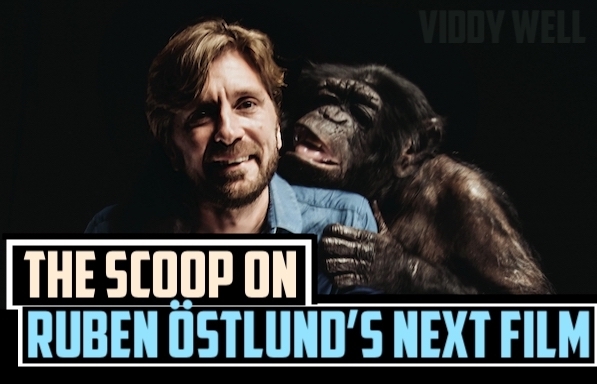 If you've been following Ruben Östlund's progress like we have, you're eager to see what the recent Palme d'Or recipient churns out next. Well, he spilled the beans on the next project at the New York Film Festival a few months back for a Q&A for The Square. As many know, Östlund, who's equal parts satirist and anthropologist, likes exploring the lesser explored social issues, and the details on his next project fall right in line. The film is titled The Triangle of Sadness, which comes from a Swedish term used by plastic surgeons for the wrinkles that appear between the eyes, which, ironically, can be fixed with Botox in a matter of 15 minutes. The film is about a luxury-line cruise ship consisting of the world's top elite wealthy and the ship's crew. When the ship is hijacked by Somali pirates, only a select few individuals escape to a deserted island, which flips the whole social order on its head. And, this all takes place before, Östlund told the crowd, the film even opens. The ship's refugees consist of a few of the wealthy elite, a male model, and a Filipino cleaning lady. On the island, social order doesn't mean what it did before; the wealthy can no longer pay their way, and the Filipino, who would normally be reduced to maid, is now the sole breadwinner of the group. The male model, whose profession used to link him — sexually — to the world's best looking, which now links him — sexually — to the Filipino cleaning maid. And, that's just the beginning. What do you think? Are you excited about Östlund's next film? Did you like The Square? We want to know. Share your thoughts and feelings in the comments section below, and as always, remember to viddy well!